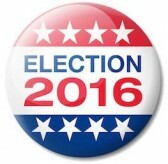 New Santa Ana | Have you registered to vote yet for the November General Election? For college students attending school out of the area, you may either request a vote by mail ballot from the Orange County Registrar of Voters Office or you may register at the address where you will be attending school. Remember that millennials are a critical – and very large – voting constituency who are often at the forefront of political activism. (It’s not an accident presidential debates are historically held on college campuses!) Most college campuses have programs and events, put on by campus or local political parties and campaigns that explain different candidates’ views on certain issues. For more information, you can also visit some great online resources aimed at younger voters, like Rock the Vote and Project Vote Smart. You can also check out the websites for political parties, which have information on issues, candidates, and initiatives. Register to vote today and don’t miss this opportunity to have your voice heard! Information provided by the City of Santa Ana as a public service announcement; is non-partisan and does not endorse any candidate. If you have any questions, please contact the Santa Ana Clerk of the Council Office at (714) 647-6520, during regular business hours. « Four challengers for the RSCCD Board of Trustees have the support of their Faculty Assn.